The popular term for stucco ceiling finish is popcorn ceiling. It is also known by the name of cottage cheese finishing. This textured finish on your ceiling is achieved by using a unique way of applying paint. This type of finish lasts for years, can act as a noise minimizer and can withstand damage. The fact that popcorn finishing is very easy to apply made it so popular to architects and interior decorators and it does not need fussy preparations on the surface it will be applied on. This type of finish also has the ability to mask and hide any defect the surface has. Popcorn ceiling finish or stucco finish was founded in the 60’s and became popular throughout the 70’s and early 80’s. If the home you are living in was built during that era, then chances are your stucco ceiling finish was built with asbestos. With this in mind, it is better that you have your ceilin gs, and walls for that matter, checked by our ceiling professionals at “Drywall Repair East Los Angeles” because your ceiling might have asbestos in it. 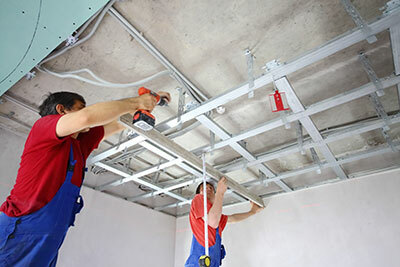 Drywall Repair East Los Angeles provides wall and ceiling services that include removal of old paint, installation and removal of insulation, wall and ceiling repairs. 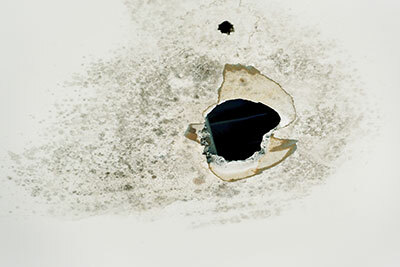 Among the things that we are known for is our dependability and experience when it comes to popcorn ceiling removal. Our company knows how to repair every type of ceiling out there. We are trained to paint and finish your ceilings. We have all the knowledge and experience on how to repair, paint and clean your ceiling in a very safe manner in as little time possible with reasonable costs. Our company can also handle repairs for textured ceilings and we will apply paint that is in line with your interior’s color motif. Popcorn ceiling, despite its positive uses, also has a big flaw. A popcorn finish can prove to be hard to tidy. Dirt can build up and stick to it through the years and can be very hard to take out which makes popcorn removal and a new paint job a better choice. And if you are planning to have your room or your whole home repainted and need assistance in popcorn ceiling removal, give our company a ring.